Orsay theme have built in slider and no plugin is required. 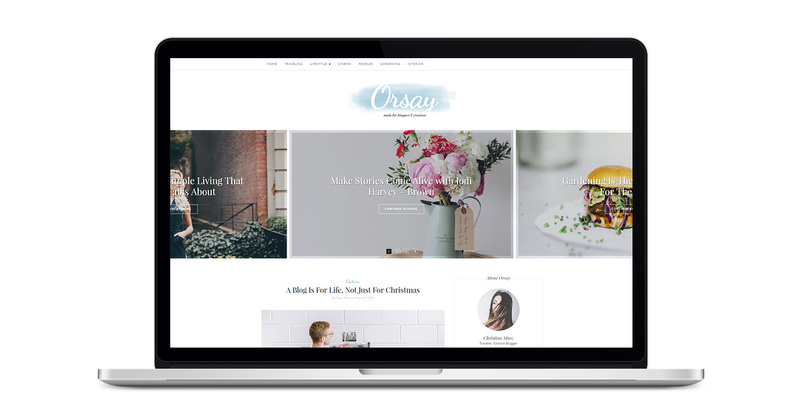 Orsay WordPress theme have built in Social Sharing and Recent posts widget and no additional plugin is required. Orsay theme have footer widget area which is made to add full wide widgets. There you can add Instagram Feed as well. This widget area is the same as in my Sanremo WordPress theme and below you can see tutorial, how to add instagram feed to my themes.